The program is not hard or complicated. Follow the instructions, do not cheat, and watch yourself melt. In 2 years, not only have I lost 60 pounds of belly blubber, I've kept it off. And I've resolved a lifetime of allergies. I petted my first cat (without severe sneezing & itching) in June of 2016. I would never have believed this program could address not only weight loss, but also chronic allergies that plagued me for decades. I am seeing my body change! I have lost 40 lbs so far and will continue to loose over a hundred more. 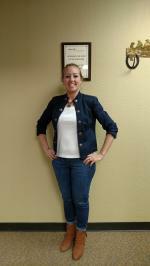 This office is the best and works with me to create the weight loss I am looking for. Thank you Nutrimost! Before NutriMost I was overweight and had no energy. I was on a constant cycle of trying to lose weight to no avail. NutriMost gave me the tools to not only get the weight off but keep it off. I recommend this program to everyone. Don't wait -- start today! 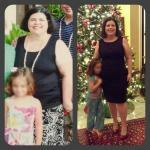 I am so grateful to the very personal weight loss health restoring program of Nutrimost! I am maintaining a 60lbs weight loss since June 2016 and feel like a teenager again. 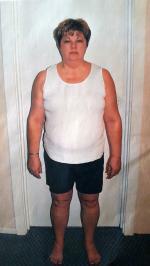 I am 57 years young and have 1 thyroid lobe and many digestive issues. My health has so improved and after trying so many weight loss programs and not being able to loose the weight I finally get why. I was eating completely wrong for my body. Nutrimost is so personally designed that it is impossible for anyone who follows the plan not to succeed. Thank God for Nutrimost!!! Dr Aaron and his office is the best, they were always helpful and always concerned and the best cheer leaders you could have. I highly recommend this office. Thanks to Drs.Aaron and Darryl West of Nitrimost Amarillo, and their friendly, knowledgeable staff for guiding me through the Nutrimost experience. What an incredible journey from high blood pressure, high cholesterol, high blood sugar and an obese body to my new, lean, healthy body. I'll forever be grateful for their coaching and encouragement. You guys are the best! Not only have I lost the weight, it's stayed off by using the tools I learned with this program. Wished I had known of it years back before bariatric surgery! Most amazing program for weight loss but most importantly helping you change your lifestyle for your lifetime!! The Nutrimost weight loss program is awesome. I look and feel great! I was losing my hair before I started the program and now I have new hairs growing in. I was in pain from all the inflammation in my body and now there is no pain. I was a size 14 and now I am a size 4. Life is great after the program! I recommend it to all my family and friends. They were very caring and very helpful during a the course of the program very knowledgeable and willing to work with you. It was so easy to follow, and the results were amazing!! !